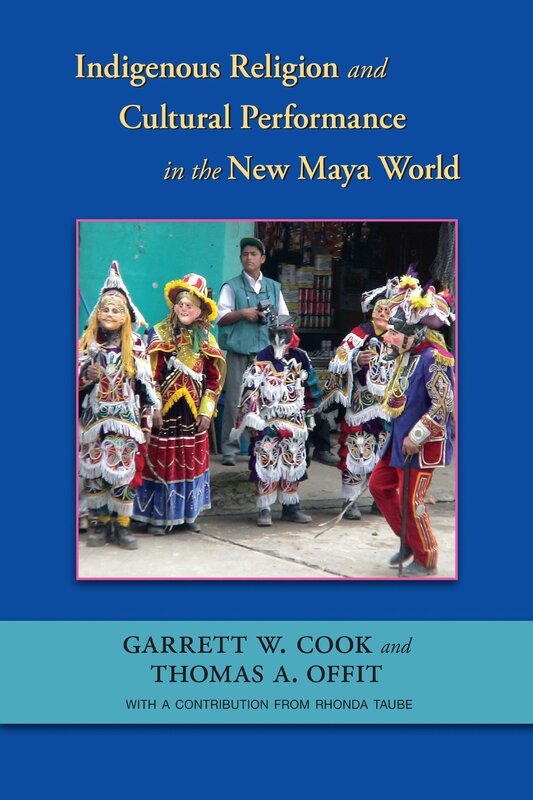 Based on more than thirty years of ethnographic fieldwork in Highland Guatemala, this study of Maya diviners, shamans, ritual dancers, and religious brotherhoods describes the radical changes in traditional Maya religious practice wrought by economic globalization and political turmoil. Focusing on the primary participants in the annual festival in the K’iche’ Maya village of Santiago Momostenango, the authors show how older religious traditionalists and the new generation of “cultural activist” religious practitioners interact within a single local community, and how their competing agendas for adapting Maya religiosity to a new and continually changing political economy are perpetuating and changing Maya religious traditions. Garrett W. Cook is professor of anthropology at Baylor University. He is the author of Renewing the Maya World: Expressive Culture in a Highland Town. Thomas A. Offit is an associate professor in the Department of Anthropology at Baylor. He is the author of Conquistadores de la Calle: Child Street Labor in Guatemala City. Rhonda Taube is an associate professor of art history at Riverside City College. With Christina Halperin, Katherine Faust, and Aurore Giguet, she is coeditor of Mesoamerican Figurines: Small-Scale Indices of Large-Scale Social Phenomena.